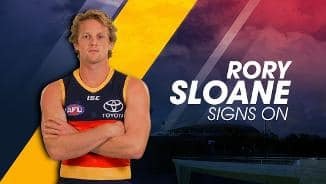 Sloane overcame injuries, illness and taggers to put together another impressive season, which saw him selected in the All Australian squad and finish runner-up in the Crows Club Champion award. The gutsy midfielder led the League for tackles (176) and pressure points (1,374) in the minor round, and finished top 10 in the competition for contested possessions (296), clearances (139) and inside 50ms (101). Sloane’s respect within the game was reflected in being voted by his peers as the Most Courageous Player at the AFL Players’ Association MVP awards. Also received the Dr Brian Sando OAM Trophy in recognition of his professionalism and elite preparation standards. Polled Brownlow Medal votes to finish sixth overall. Another standout season for the courageous midfielder, who averaged 25 disposals across 23 matches. Sloane led the Club in contested possessions (292) and tackles (162), was second for inside 50ms (92) and third in score assists (35). Missed the final game of the home and away season due to suspension, but still claimed his second Club Champion award and polled a personal-best 24 Brownlow votes despite being ineligible for the award. Sloane also earned his first All Australian selection, was runner-up in the AFL Coaches’ Association Champion Player of the Year as well as the peer-voted AFL Players’ Association MVP award. Named vice-captain for 2017 and is due to play his 150th AFL game next season. 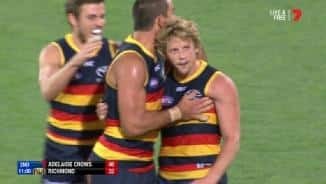 Sloane, who sat second in the AFL Coaches Association Player of the Year award after three rounds, started the season in spectacular fashion before fracturing his cheekbone against Gold Coast in Round Six. The 2013 Club Champion returned after a month only to re-injure his cheekbone at the Gabba in Round 13. Despite missing five games through injury, Sloane finished sixth in Adelaide’s best and fairest, and continued to set the standard with his work rate and uncompromising approach. Signed a new three-year deal tying him to the Club until at least the end of 2018. Will again be a valuable member of Adelaide's senior leadership group in 2016. The hard-nosed midfielder backed up a best-and-fairest winning year with a brilliant 2014. 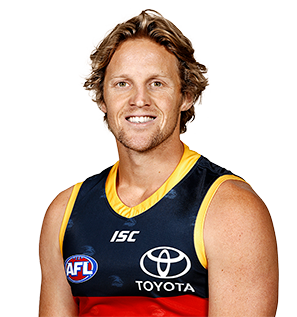 Sloane played every game, ranking second at Adelaide in total disposals (521), contested possessions (275) and hard ball-gets (111), and third in clearances (93). He was fourth in the AFL for tackles (147) and score assists (36) and seventh in the League for inside 50ms (99). Celebrated his 100th game against St Kilda, in Round 23. For the second straight year, Sloane received the 19th Man Award as the members’ most valuable player. He finished runner-up to Daniel Talia in the Crows Club Champion award. Sloane shared the match day captaincy duties with Patrick Dangerfield in the absence of Nathan van Berlo and is a member of the 2015 senior leadership group. The influential midfielder thrived in 2013, producing a career-best season and taking out the Crows Club Champion award. Sloane averaged 23.5 possessions and four tackles per game, but the enormity of his impact wasn’t measured on the stats sheet. The hard-running onballer stepped up when it mattered, doing his best to drag Adelaide over the line on numerous occasions. His standout year was recognised externally with 15 Brownlow Medal votes. Sloane was included in the Crows’ leadership in 2012, and relished under the added responsibility. The popular young Crow emerged as one of the most-improved players in the competition, playing 24 matches and averaging 22 possessions. 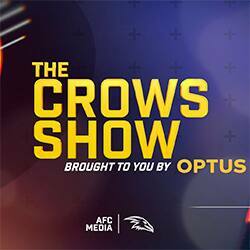 He stood up in several big games, earning three Brownlow Medal votes in gutsy wins over Sydney and Fremantle, and also Greater Western Sydney. Sloane’s running goal against GWS in Round Four was a finalist in the AFL Goal of the Year. The popular midfielder was a rare bright spot for Adelaide in a difficult season. 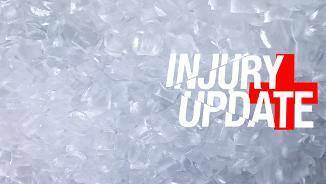 Sloane missed a month after playing out the Crows’ stirring Round One win over Hawthorn with a fractured jaw and thumb, but returned to play the last 18 games. The hard-nosed onballer averaged 20 disposals and five tackles, with his best performance coming against Geelong in Round 21, where he amassed 36 possessions, 10 marks, seven inside 50ms and earned three Brownlow votes. At only 21 years of age, Sloane has been included in the Club’s senior leadership group for 2012. How many text messages do you send a day: 9 (no more, no less) great number!